Seriously? OMG! WTF?Al Pacino Archives - Seriously? OMG! WTF? You would think audiences would gobble up think a movie starring Oscar winners Al Pacino and Anthony Hopkins, and you would be wrong. Their critically panned movie Misconduct made just $141 over the weekend in The UK. Hoo-Ah. BTWF roles: Al Pacino in N.Y.P.D. Before Al Pacino was shooting people in Scarface, someone shot him in N.Y.P.D. He looks the same now as he did when he was 28 years old making his on-camera debut in that 1968 episode. 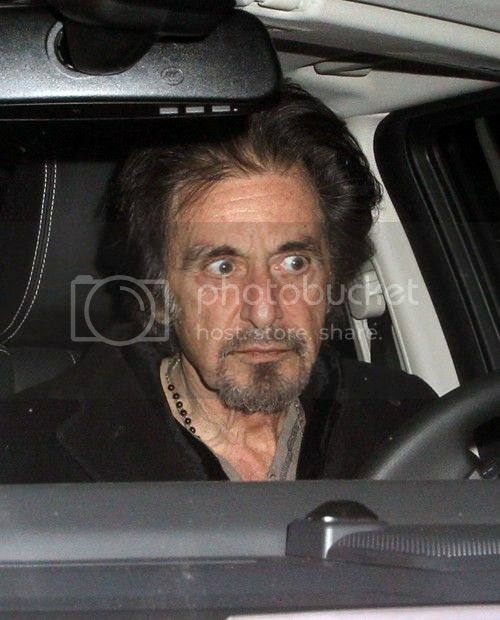 Stop the presses, Al Pacino brushed his hair! 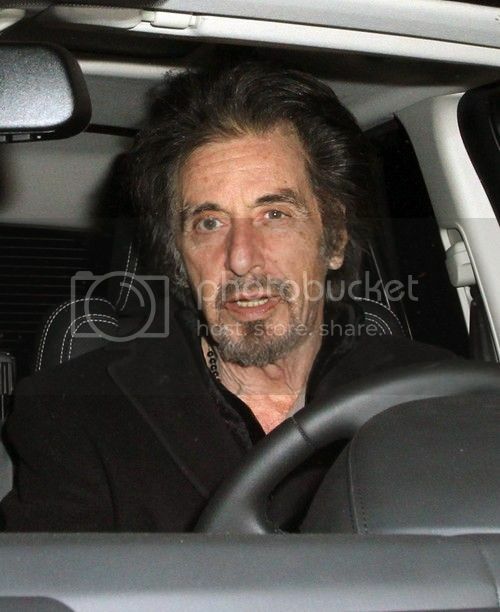 Al Pacino was seen heading to the set of his new movie and all I could concentrate on is that he finally brushed his rat’s nest. I mean when was the last time we saw him with his hair as controlled as it is in this picture? Now that we have seen that he calm that beast down, I hope he does it more often because he looks so much better like that. Hoo-ah! Although he kind of looks like Sean Penn in this picture. 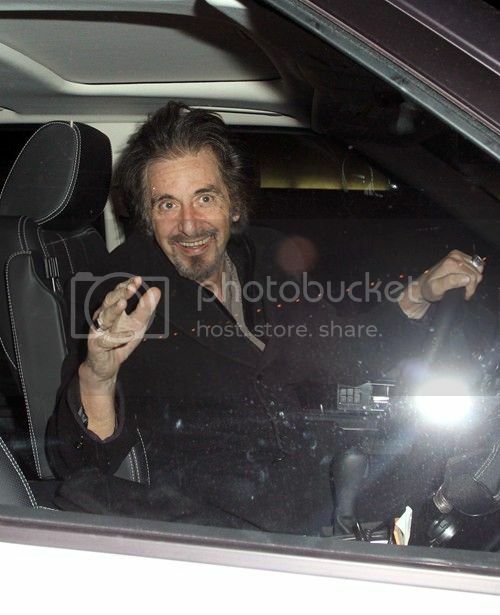 The many faces of Al Pacino behind the wheel! 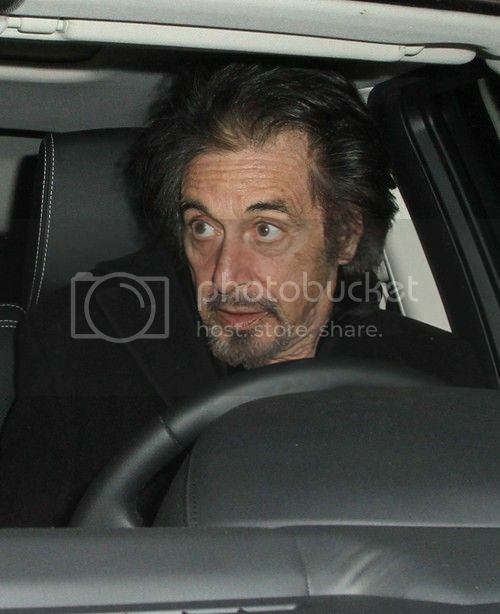 Fame Flynet caught Al Pacino as he was leaving Craig’s Restaurant and about to drive away in his car. Looking at these pictures of Scarface behind the wheel, I know if I saw those expressions in my rearview mirror I would speed away like I was Danica Patrick. Seriously wouldn’t be scared sh!tless if you saw those eyes and that hair behind you when you were driving? Oooh aah!